The final stage of work on Phase 2 of the Downtown Decatur Storm Drainage Improvements project is expected to start on Wednesday, July 12. 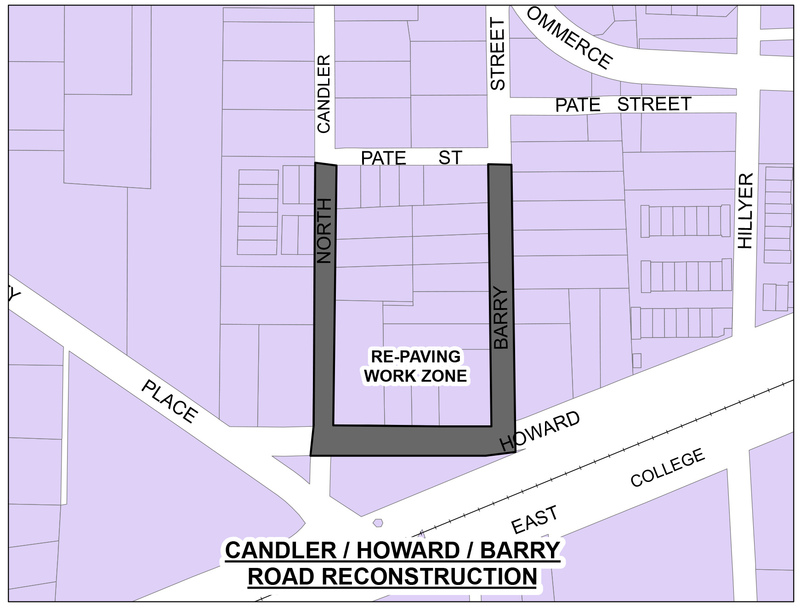 This includes milling, rebuilding, and repaving the streets in the project area, including North Candler Street, East Howard Avenue, and Barry Street. Phase 2 of the Downtown Decatur Storm Drainage Improvements includes replacement of undersized and deteriorated storm drainage facilities and will reduce or eliminate frequent flooding on private properties in the Old Decatur neighborhood. During construction, the work was expanded to include renewal of a failing sanitary sewer system in the same community. This project was originally planned almost 40 years ago, replaces some of the oldest infrastructure in metro Atlanta, and will complete major planned improvements to the upper Peavine section of the downtown drainage system. Construction commenced in July, 2016, and was expected to take up to 12 months. Vehicular access will be limited and on-street parking will not be available on the affected streets during the work. Pedestrian access will remain open throughout the project area. The street and paving improvements are expected to take about 2 weeks, weather permitting.